Described by Rudyard Kipling as ‘a land, quite unlike any other’ our newest Great Road Journey visits Myanmar. 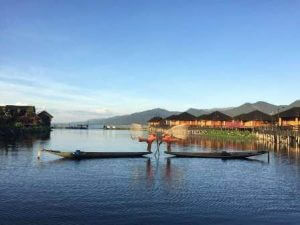 Full of friendly welcoming people together with some of the most fascinating sights in Southeast Asia, Myanmar is an ideal self drive destination. Together with our India trip in 2006 and Vietnam in 2012 we believe our 2018 tour of Myanmar was another world first because, as far as we know, no other company has run a self drive tour using Myanmar registered vehicles. As a self drive destination, Myanmar really does tick all the boxes. There are good roads with beautiful scenery, interesting and unique places to visit, and quality accommodation. 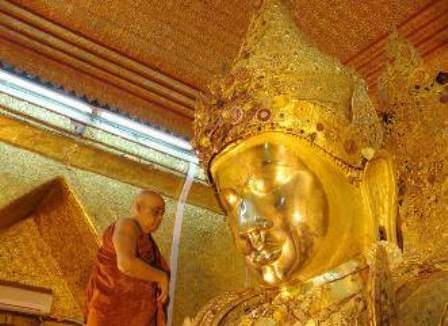 Day 1 – 12th February Depart UK and Fly to Yangon, formerly Rangoon. 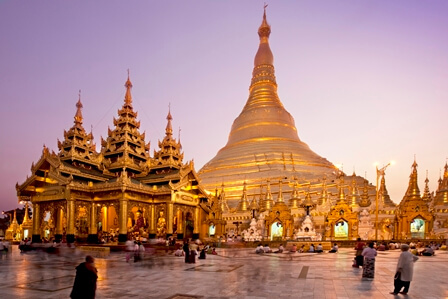 Day 3 – 14th February Welcome briefing in the followed by a morning tour of Yangon and a free afternoon. Late afternoon – vehicle handover. Dinner at a local restaurant. 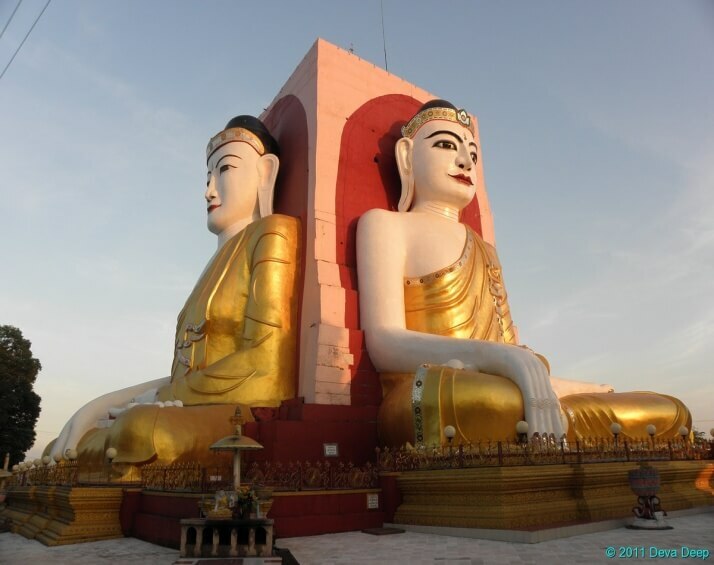 Day 11 – 22nd February Day off Bagan. Like Nay Pyi Taw you need to see Bagan to fully appreciate it. Imagine a vast landscape with over 2000 temples all approximately 1000 years old. If you fancied a balloon flight this is the day you would do it. Free evening to eat at one of the many local restaurants. Day 16 – 27th February Transfer to airport for flight home. £3660 per person based on two people sharing a vehicle and accommodation. The cost excludes flights. What happens next? Send an email to us at info@greatroadjourneys.com with your contact details. Alternatively call me for a chat on 01458 224109 or 07831 477746 and I’ll be happy to discuss the trip in more detail. A deposit of £750 per person will be required upon booking. The balance will be due one month before departure. In the meantime you’ll receive regular updates from us guiding you through everything you need to know including information on booking flights. What is it like to self drive Myanmar? There is no traffic in Myanmar. Well that is a slight exaggeration because Yangon can be horrendously congested but once out in the country the roads are very quiet. The road condition is, in the main, good and compared with other countries such as Vietnam or India you can maintain a faster average speed. Yes. It is highly likely you will be stopped by the police at least once during your visit but you will find them friendly and helpful. The standard of hotels is excellent. Are temples and monasteries open to men and women? It is fair to warn you that there are a couple of places (and only a couple) where women are banned from the inner sanctum of the temples. Any ‘must see’ is open to all. 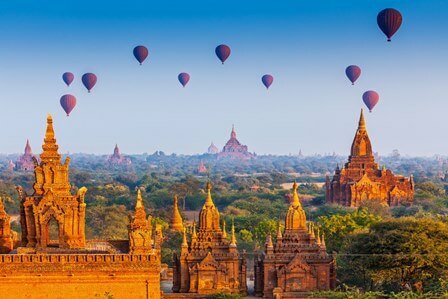 How do I fly to Myanmar? Flights (from the UK)usually go via one of the Asian destinations such as Bangkok, Kuala Lumpur, Singapore or Hong Kong or via the Arab countries such as Qatar or Dubai. Mynamar has a lovely variety of cuisine being a combination of Myanmar, Chinese & Thai and many restaurants will specialise in one or the other. Can I get a simcard or use Wifi? A sim card with full data is cheap and easy to get. Wifi is good in most of the hotels we visit. The vehicles we are using are a mixture of SUV, people carrier and double cab type vehicles. The age rage is vast ranging from 2 to 15 years old. They are comprehensively insured with £300 excess.